Home » Discours sur l'esprit positif. 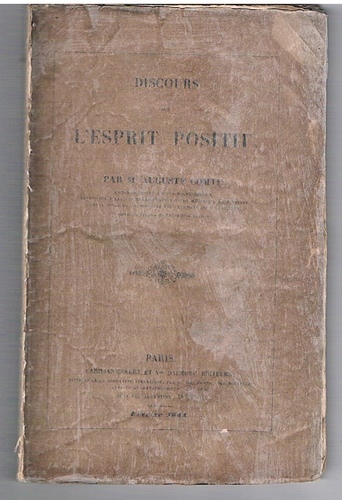 par M. Auguste Comte. 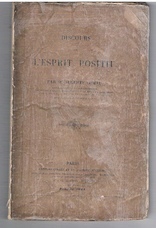 Disbound in original printed wrappers (reinforced with opaque paper). Clean and tight. A good copy although upper covers strengthened. ; French philosopher who developed the positive philosophy in an attempt to remedy the social malaise of the French Revolution. 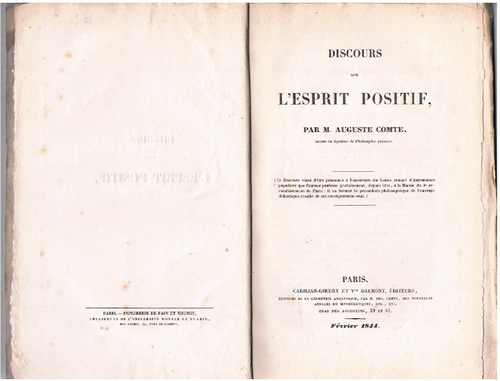 Comte was a major influence on 19th-century thought, influencing the work of social thinkers such as Karl Marx, John Stuart Mill, and George Eliot.